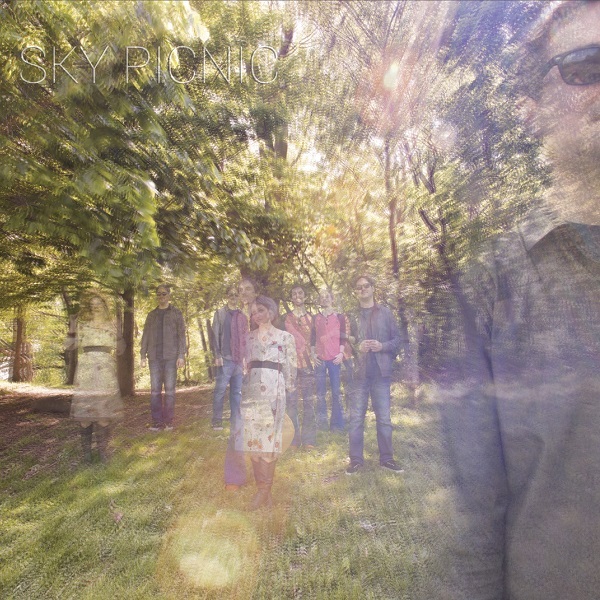 Sky Picnic is a neo-psychedelic rock band from Brooklyn, NY, but you would hardly credit this after listening to them. Their vocals are a bit accented and resemble UK’s Crystal Jacqueline, so I naively thought they were from Europe. Sky Picnic is the trio of Chris Sherman (guitar and vocals), Leah Cinnamon (bass guitar and vocals), and Pete Meriweather (drums and percussion). Their debut release (2011) and second album, Paint Me a Dream (2012), were released on the German label Nasoni Records. They then joined the Fruits de Mer team and had tracks on four compilations: Keep off the Grass (2011), “Sorrow’s Children” The Songs of S. F. Sorrow (2012), The Crabs Sell Out (2012), and Re-Evolution: FdM Sings the Hollies (2013). Sky Picnic has continued to refine their style and have now signed with Mega Dodo Records for their third album, Her Dawn Wardrobe, to be released on October 13, 2014. This is a pretty cool retro sounding slab of dark psych music. There are hints of The Smell of Incense, Crystal Jacqueline and The Honey Pot, and even King Crimson. “June Sunshine” recalls to my mind the spring/summer of 1969, the end of my first year in college. Kind of a magical psychedelic vibe with outstanding trippy guitar. The one low point on the disc for me is “I See You Saw,” which is too long at seven minutes, but it does end with some interest in the final minute. “Lady of the Moon” is a great acoustic guitar and Mellotron dark folk song along the lines of fellow FdM teammates Us and Them. “Most of a Box of Winter” is an amazing instrumental. And then there is “Earl Grey.” Normally when you read about comparisons to King Crimson, the references are to Fripp’s harsh and complex songs like “21st Century Schizoid Man,” “Red” etc. The difference here is that “Earl Grey” sounds amazingly like “In the Wake of Poseidon.” I do like this recent trend of Gothic psych and the cover art does a very good job of expressing the feeling as well.